Lebbeus Woods passed away two Novembers ago. He was loved and respected by other architects and by the generations of students he taught at Cooper Union. He was also a rogue figure, drawn more to meditative explorations of the human condition and futuristic scenarios then to building in any button-up, doing business kind of sense. 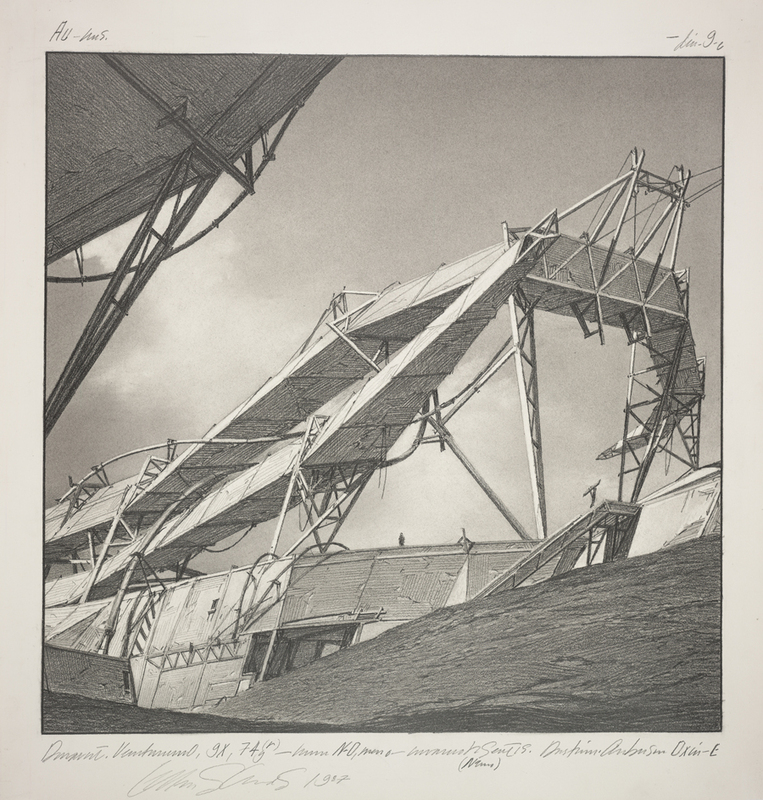 The Drawing Center currently has an exhibition of Lebbeus’ drawings and models on display. This exhibition is the travelling version of SFMOMA show of the same name from Spring 2013. Lebbeus Woods, Architect was curated by Jennifer Dunlop-Fletcher and Joseph Becker of SFMOMA. The Drawing Center iteration is more compact and yet feels more comprehensive. One of the complaints with the SFMOMA installation what was that many of the larger drawings were hung too high to see clearly. Here things are closer together and you can spend quality time getting lost in the all the details.